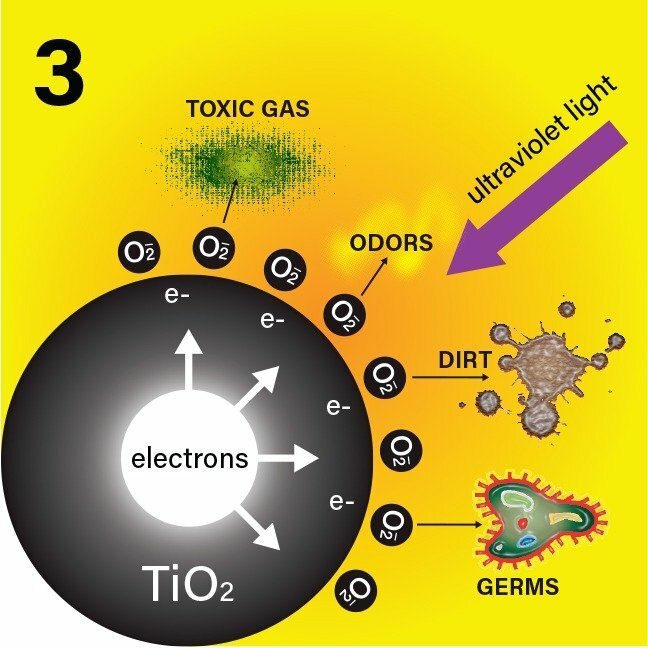 The innovative design of this purifier uses the same photocatalytic technology as our larger Airwise models (without Wisepointe) to oxidize odors and destroy microbes such as fungi, mold, bacteria and viruses. 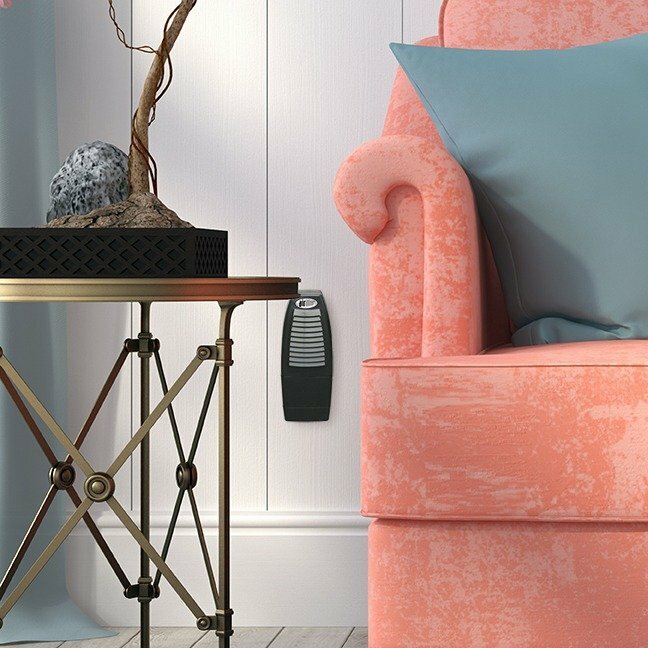 Ideal for travel, just plug the unit into any wall outlet to clean the air in small areas up to 350 square feet. This sleek, lightweight (only 13 ounces) purifier requires no maintenance… just replace the lamp module every 12-18 months. Simply take Airlite along, anytime you’re away from home (use it at home too). You’ll enjoy your time and relax more knowing that you’re breathing safe, clean air. According to the Environmental Protection Agency (EPA), indoor air is 2 to 5 times, and sometimes more than 100 times, more polluted than outdoor air. And an indoor air pollutant is 1,000 times more likely to reach your lungs than an outdoor pollutant. Sniffles, a scratchy throat or watery eyes don’t necessarily mean you’re sick with a cold or the flu; the air in your home could be making you sick. In reality, about 50% of all illnesses are caused by, or aggravated by, indoor air pollution. Airwise employs a process called PHO•TO•CA•TAL•Y•SIS. 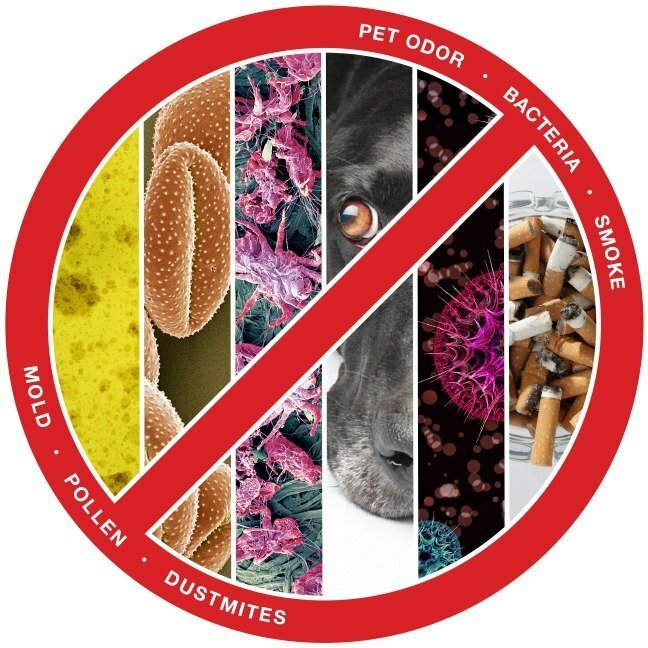 Put simply, this works to oxidize (destroy) organic odors, microorganisms, algae, fungi, parasites, as well as toxic volatile organic chemicals like formaldehyde. Photocatalysis performs like the natural process in nature which makes the air especially fresh after a thunderstorm. The best way to purify the air in your home is to break down the space into multiple zones and place an Airlite air purifier in each one. 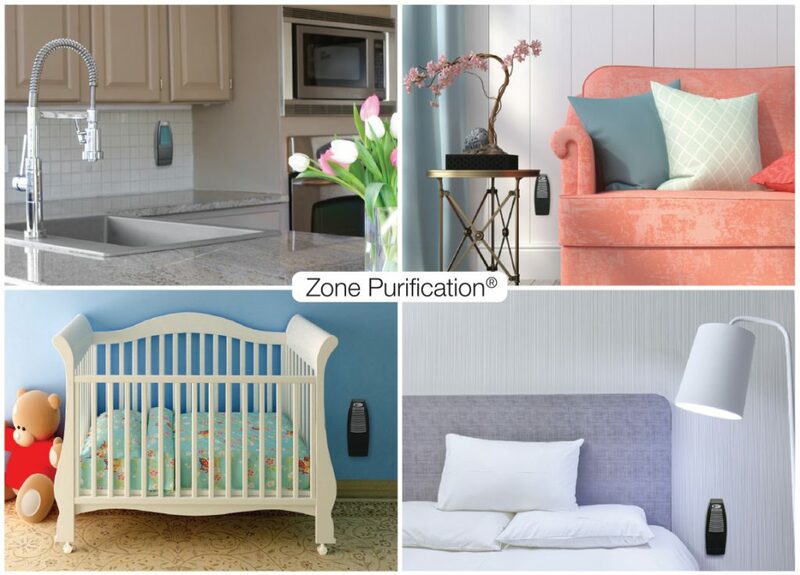 Zone purification is far more effective and efficient than trying to treat an entire home from one location with a single filter or purifier. Each Airlite unit can effectively treat a zone up to 350 square feet.